"Droids on Roids is an excellent company if you want to develop an App. They are very professional, easy-going, and developed our project in a timely manner. I would totally recommend them an..."
"Eastern Peak was great to work with. They worked within the SOW and delivered everything on time. The great pleasure was working with their project managers and upper management. Always read..."
"It was hard choosing a developer but I am so happy I went with AppInventiv. They are so great and so responsive. Their whole team: Meenakshi, Dileep, Prateek, Shubham, and everyone else were..."
Owner, Food 4 Thought Inc.
"Though on Konstant InfoSolutions is positive, it was a great experience as I have grown with the project and the staff." "Experience with Fluper was great. If I get any project in my future days I am sure I am going to work with Fluper which defined true meaning of professionalism and dedication." "Excellent professionals, friendly company with good communication skills and understanding of my requirements." "We had a great experience working with Prismetric team. We recommend them to anyone seeking for app development. We will hire them again whenever required." "They are experts when it comes to app programming and they understand everything we explained during the process. The mobile app developed by Magneto IT is really helpful and useful to our u..."
"I have used several development companies, but Appventurez and Mike Smith especially have been better than I could ever have imagined. They are totally responsive to every little detail, t..."
"A fantastic experience with a real good company and a fantastic team,"
"Amazing work, Devodrome. You have truly restored my confidence in app and other development and I thank you for a job incredibly well done." "The team at INGIC is awesome and I am really happy with hiring them. In fact, they have a really good team and a project manager really experienced. I would recommend them to everyone becaus..."
"For me, Syberry works on multiple projects and delivers according to pre-determined design specifications. All deliverables have exceeded expectations and function properly once launched. T..."
"I have done few projects with DevTechnosys and it was a lovely experience once again. They understood requirements in perfect manner and worked on a couple of iteration for my e-commerce pro..."
"Intuz always understands your idea and the most important thing is that they always recommend you some ways to make your idea real. They are creative, have empathy with the clients and alwa..."
"Luft is a world-class design studio. They create stunning designs that work amazingly well and satisfy challenging business demands. They are an asset to our company and I give Luft my highe..."
We take care not only of app development but the whole process of making it successful, starting from improving an app idea, through wireframing UX, designing UI, app development, quality assurance, and maintenance. "After their work, I am more than willing to refer them to any person looking for a mobile app development company. In fact, their performance is really good and it was helpful for us to get ..."
"I’ve dealt with numerous digital companies and without a shadow of a doubt, Appcrates have been the most creative, reliable, and professional. We’ve worked quite closely together. We’v..."
"Kpis Team is really very dedicated & prompt in communication; Kpis delivered a fantastic mobile app. Now I am getting good revenue from my business. I really appreciate your willingness towa..."
"They work hard to satisfy their clients and their experts at what they do." "Appsinvo is an excellent company and team developers. They demonstrated to be professional, always very patient and accomodating every request. I strongly believe they are amongst the best ..."
"Amazing work and great communication with everyone in the team." "For a technically very complicated product, Applify has done a brilliant job. They're not your average app developers which is what we understood while working with them. Someone referred th..."
"It was a rollercoaster experience with Code Brew. But at the end, the project was done with the 2nd project manager. I am impressed with how the support they give after the completion of the..."
Where to find top app development companies to outsource an app development project. Outsourcing a project and getting out of your own environment can seem complicated, but it can be the best option for your project and our aim is to help you do it under the best conditions. The key will be to find the best app development companies for your project. Our worldwide directory of mobile app development companies is a tool for you to find top app development companies around the world. You will be able to categorize your search by location, platforms and focus. Each app development company showcases varied and complete information about their services and have client reviews that have been thoroughly validated by AppFutura. Client reviews present different formats, from basic feedback and ratings, to complete reviews and client interviews about their experiences with the mobile app development companies they hired. 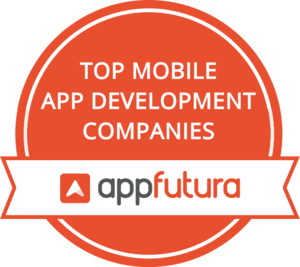 AppFutura offers a unique perspective on the app development companies listed in the worldwide directory. Besides companies presenting their past clients, we have also worked hands-on with some of the top mobile app development companies in the directory through an Escrow system and marketplace available on the website. Instead of browsing through the worldwide directory, you may also post your app development project, start receiving app development proposals and have AppFutura help you in your selection process with our PRO service. There are thousands of app development companies that can endure your project all around the world. Browsing through our directory will help you find top mobile app development companies from different countries with verified client reviews and complete app development portfolios for you to review their past works. You will also have access to each app development company website to learn more about them and you should ultimately start contacting them through their available contact channels or using the contact button on their AppFutura profiles. It is likely that you end up having conversations with multiple app development companies and there are different steps to consider in your selection process and also tips to successfully outsource your app development. Clear needs: Having a clear idea of your needs is extremely important to make sure it is properly understood by the mobile app development companies you approach. You may request counselling and most app development companies will be happy to help, but learning some basic stuff beforehand can be extremely helpful. For example, you could learn about the differences between native and cross-platform development or have an understanding of how complex your project is to determine if it will need a backend or a website as well. It is important to clarify your needs before presenting them. Documentation: How ready are you to create you app development project? Do you only have an idea? Do you have complete wireframes to understand what your project will look like? Do you have a complete Request for Proposals document detailing your needs? Documentation is important so app development companies can understand your needs. Right Questions: top mobile app development companies go into a exploratory phase with their prospects to understand their needs. They should imagine all possible scenarios of your app development in order to make sure everything is covered. Distrust companies that say yes to everything with no questions asked or minimal analysis. Mobile app development is hard and competitive and it is important to make sure you are in the hands of good professionals. Smooth Communication: a lot of problems in outsourcing come from a lack in communciation. From the beginning of your conversations with mobile app development companies, you need to make sure you have a proper and valid interlocutor on the other side. This is specially important when outsoursing offshore. Language can be a challenge, but never a barrier. Do not consider an app development company that does not offer smooth communication. Client reviews and past works: you have several mobile app development companies lined up. How to know which one is best for you? On AppFutura you will find thousands of validated client reviews that can help you understand real experience of clients with the app development companies you shortlisted. You will also find complete portfolios on their profiles and website and you might also want to ask them to introduce you to some of their past clients, specially if they have developed something similar to your needs. Budget: budget is probably one of the most sensitive issues when hiring a mobile app development company. App development is an expensive industry, so don\'t let yourself be tricked into a seemingly cheap development that may end up bringing worse problems in the future. You can read the AppFutura report on time and cost of a mobile app. Following these guidelines, your experience ousourcing to a mobile app development company can offer guarantees and you can avoid unnecessary problems. These rules apply to all app development companies, regardless of location, size or culture. You can choose to hire a company in a popular offshore destination like India or Eastern Europe (Poland, Ukraine, Romania...) or going to regions closer to your location, but make sure to always feel comfortable with the mobile app development companies you consider. After the screening candidates and approaching your shortlisted top app development companies, they will likely present you with their business proposals with a more accurate cost estimation and schedule of works. Some app development companies might present basic prototypes and even help you by suggesting improvements on your requirements to make sure your goals are fully reached. It is also likely that you end up with more than one ideal candidate. If this happens, there will be no right or wrong answer and choosing the right app development company will depend on your own personal preferences. Welcome to AppFutura and good luck in your app development experience!